Home buying season is here. If you’re thinking about buying a house for the first time, you’re at the right place for the ultimate first time home buyer checklist. The Transactly Ultimate First Time Home Buyer Checklist lays out the 10 steps of the home buying process, and what to do during each and every step. While it’s easy to play pretend, and start browsing listings online, there are a few steps to take first to avoid key home buying mistakes. Decide what you can afford – How much can I afford? If you’d like to avoid foreclosure, and most of us would, it’s a good place to start. After you’re aware of what your budget is, then you can use a mortgage calculator to decide if 15 or a 30 year mortgage is right for you. It’s helpful to also keep in mind how much you’d like to budget for different home options and upgrades along the way. Check your credit score – If you find yourself with a “Poor” credit score (579 and below), getting your finances in order, and cleaning up any blemishes are going to be important. You don’t have to be “Excellent” (720 and above) to get a good deal, but it definitely helps your chances. Save for a downpayment – While it’s reasonable to put a 20% downpayment down on a home, you don’t have to put so much down. There are ways around a large down payment. Consider additional costs – According to Zillow, additional home buying costs can range from 2-5 percent. This might feel like a lot. But, there are a lot of third parties helping you along the way during your home buying adventure. Be prepared for costs around: inspections, property appraisals, property taxes, attorney’s fees, and a rainy day fund for repairs. Make a Wish List – What does your ideal home look like? 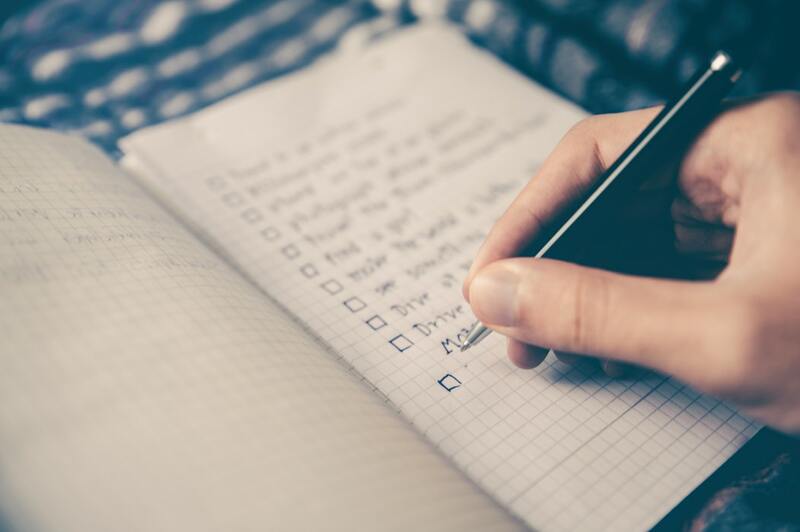 If you start with a list of what you want, it makes looking a lot easier. You can browse listings online to see what you may, or may not, want. Schedule a lender consultation – Getting a loan is highly competitive space (the same as real estate agents). It’s in your benefit to speak with many different loan officers to ensure you have the best rates. Not all lenders are made equal. Loan Pre-Qualification – Hearing you’re pre-qualified sounds great. But, you still have a long way to go. Rick Hogle suggests that loan pre-qualification can provide a general idea of the loan amount in which the homebuyer might qualify. This way you can start looking at houses and have a general idea about how much you can afford. Loan Pre-Approval – Here there is a lot more paperwork, but a lot bigger reward. Here’s what you can expect to provide: pay stubs, bank statements, tax returns, proof of assets, good credit, employment verification, documentation, etc. The lender will review your income, expenses, and credit history. When you’re done, the lender will conditionally agree to loan you a specific amount of money giving you the ability to shop with confidence. Conventional Loan – For higher credit scores – If you go this route, you’ll have a higher interest rates, but the minimum down payment is 5%. Federal Housing Administration Loan – For first time home-buyers and lower credit scores – If you go this route, you’ll have lower interest rates, but the minimum down payment is 3.5%. Fixed Rate Mortgage – Easiest to understand – The interest rate remains the same for the life of the loan. If you’re looking for flexibility in deciding how long the loan lasts, and stability in the same monthly principal and interest, this is the route for you. Adjustable Rate Mortgage – Starts with an initial fixed rate from 1 month to 10 years. After this specified time, your interest rate can adjust up or down depending on current market conditions. High risk. High reward. Free services for home buyers – In 2019, smart shoppers when selecting a REALTOR® know better than they use to. Because of the advent of the internet and self-research, no longer are people choosing to work with someone who is just a friend of a friend. Smart companies now do a ton of up-front research and analyze local data to help buyers hire the best agent. What questions should I ask – While there are many questions, here are some Transactly favorites to help select the best buyers agent for you: How many homes have you closed in the last 6 months? Can you provide me with referrals? What is your marketing and/or negotiation strategy? Do you work with a team? What technologies do you use to improve the client experience? Does your agent give you free money? – Seriously. This is one of the most missed questions prior to selecting an agent is… Do I qualify for a Buyer Agent Commission Rebate? If so, how to do find out who offers this rebate? Attend Open Houses & Tour homes – According to National Association of Realtors Research Department, the average home buyer in the US looks at 1 house per week over 10 weeks before making an offer on a home. Attend lots of open houses! Learn what exactly you’ll love and what you won’t. Visit during on and off peak hours – After you find a home you love, it’s time to really analyze the home during in and off peak hours. What does the neighborhood feel like at 7am on a Wednesday, what does it sound like at 11:30pm on a Saturday? Believe me, you’ll want to know. Make a purchase offer – If the home you’re making an offer on seems like it will be a competitive one, you can try to tip the edge in your favor by appealing to the seller’s emotions. A hand written personal letter attached with the offer about what the home means to you and your family will go a long way. Hire an inspector – After you’ve made a purchase offer, you’ll need to hire an inspector. An inspector will check the following areas to ensure they are up to code, so you can with confidence confirm that offer you recently made. The inspection typically includes: roof, windows, doors, attic, plumbing, electrical, walls, ceilings, floors, foundation, and HVAC. Double check – Is everything okay? This is the time to check. If any issues arise during inspections, you may be able to renegotiate the purchase price of the home. If you’re unable to change the purchase price, you might be able to ask the seller to pay for repairs. Doing your homework pays off. Ensure Accuracy – You think you know what you made an offer on, but how sure are you? Hiring an appraiser will help to make sure your offer is comparable to other offers in the area. Many times, your lender will require one. Establish an Escrow Account – If you haven’t already done your research about what to know about title companies, the short version is that they are a neutral third party that will help keep funds safe and distribute them appropriately at the end. Choose the right homeowners insurance – How much coverage you do you want? You’ll need to think about the structure of the home, coverage for your personal belongings, and any liability insurance. Sign Documents – The day of closing, you can expect to sign the following documents: settlement statement, the deed, the promissory note, and mortgage paperwork. Get the keys -Thanks for checking out the ultimate first time home buyer checklist. Congrats! You’re all set. Now you just need to hire movers and start planning your new life.